Pocket Interventional Radiology is a practical, high-yield reference offering current, evidence-based practices and expert guidance in this fast-growing area. 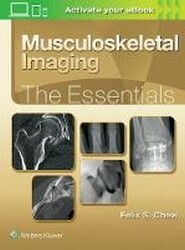 Featuring an easy-to-use, loose-leaf format, it contains key clinical information regarding the workup of patients, imaging, and necessary procedural details, including physical exam tips and tricks, medication information, and pre- and post-procedure patient management. 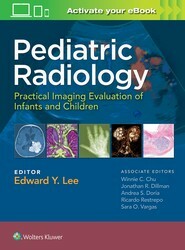 Pediatric Sonography has long been recognized as the leading technical reference in its field. 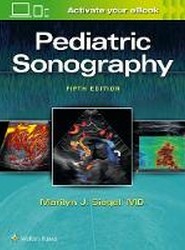 Now, the fifth edition continues in that tradition, providing up-to-date guidance on sonographic image decision-making, examination, and interpretation in both children and adolescents. Each chapter covers a specific organ system and the disease processes associated with it. This newest addition of the comprehensive Pediatric Neuroimaging combines thousands of images with detailed textual descriptions to help you diagnose a wide range of brain, spinal, and head and neck disorders in the pediatric patient. The authors have chosen a clear, concise writing style that encourages you to grasp information quickly. By dealing with a broad range of disorders, from everyday problems to less common ones, and explaining how to recognize and differentiate them, this book offers you the opportunity to provide a concise differential diagnosis on most patients you are likely to encounter in your practice. 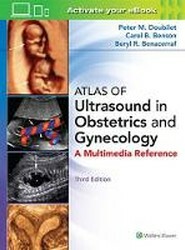 Packed with more sonographic images than ever before, the third edition of the Atlas of Ultrasound in Obstetrics and Gynecology helps you better understand and interpret sonographic imagery, and improve diagnostic accuracy of ultrasound images. This comprehensive visual tutorial is split into two distinct sections: obstetrical ultrasound and gynecological ultrasound. Each section covers normal and abnormal anatomy, pathology, and interventional procedures. 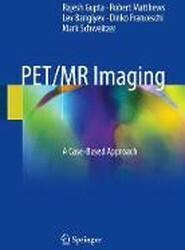 This book offers an overview of the clinical applications of PET/MR imaging through a case-based format. Each case is presented with the patient history, protocols, interpretation of findings, and pearls and pitfalls accompanied by high quality PET/MR images. In this comprehensive, up-to-date book, authors from different laboratory and clinical areas link laboratory and clinical topics. Illustrated clinical cases detail the clinical role and limitations of different tumor markers. The neuroradiology core review book will consist of approximately 200 questions, in the format similar to the ABR core exam. Additionally, there will be an online database of approximately 300 questions, including an additional 100 questions. The book consists of 4 sections that are tested on the ABR Core Exam and include Brain, Spine, Head and Neck and Pediatric Neuroradiology. Each section consists of five (5) chapters: Congenital, Trauma, Infections/Inflammatory/Demyelination/Dysmyelination, Tumors and Vascular. High quality radiographs, CT, MRI, and ultrasound images will be included. Answers to the questions will be discussed in a concise manner with explanations for why a particular answer choice is correct and the remaining answer choices are incorrect. Literature references will be provided for each answer explanation, so a reader will know where to go for further reading on.